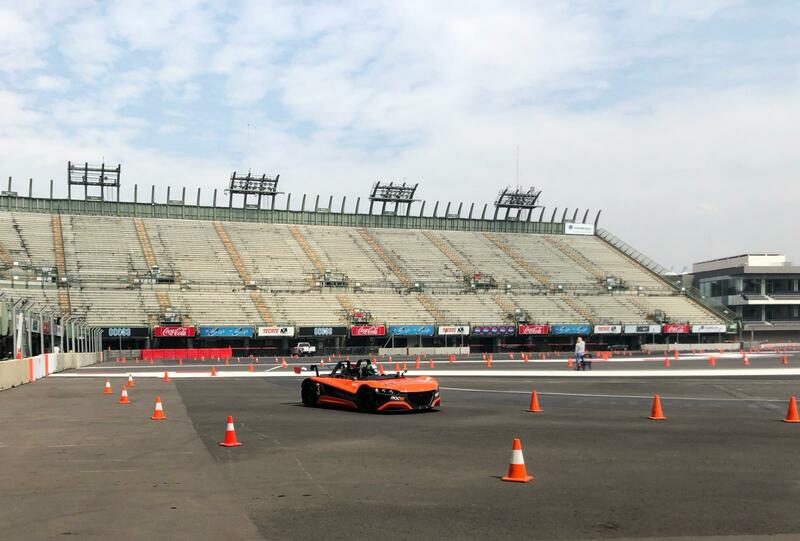 The drivers and teams for the 2019 edition of Race of Champions (ROC) to be held at Sol Forum of the Hermanos Rodriguez Autodromo circuit in Mexico, has been revealed. This year, the Race of Champions will take place this weekend on January 19-20 in Mexico’s F1 circuit with host of drivers from around the globe from various racing championships taking part, both in the Nations Cup and also individually. The entry list is headlined by ROC veteran and champion Sebastian Vettel as he teams up with debutant Mick Schumacher – son of Michael – with the two representing Team Germany in the ROC Nations Cup. The performance of the team will be looked upon closely, especially seeing Schumacher Jr alongside the F1 champion who also raced in ROC with his dad previously. Another of the current F1 driver to take part in the event will be Pierre Gasly. The Frenchman who will race for Red Bull Racing in 2019 will represent Team France with DTM racer Loic Duval alongside – the two are making their debut in ROC. Elsewhere, Team Brazil will have Lucas di Grassi and Helio Castroneves in their ranks. Di Grassi is a former F1 racer and a Formula E champion while Castroneves has won the Indy500 three times. The home Team Mexico features fives drivers so far with a sixth one to be confirmed after a selection event on January 17. The two teams are paired up with NASCAR Xfinity champion Daniel Suarez and three-time Daytona 24 Hour winner Memo Rojas as one and the other one featuring Indy Lights racer Patricio O’Ward and PWRC champion Benito Guerra. The fifth driver named is former F1 racer Esteban Gutierrez. Team USA representatives will be IndyCar champions Ryan Hunter-Reay and Josef Newgarden with Team Nordic having Le Mans winner Tom Kristensen and Rallycross champion Johan Kristoffersson. It is unclear if Team Britain will compete at all as only ex-F1 racer David Coulthard has been named to race. At the same time, the Team Sim Racing All Star will feature Mercedes’ Brendon Leigh and McLaren’s Enzo Bonito. The majority of the racers competing in the Nations Cup on Saturday will also line-up for the individual Race of Champions competition on Sunday. Last year, Team Germany took the Nations Cup title, while Coulthard beat Petter Solberg to win the individual event. UPDATE: British racer Andy Priaulx has confirmed his participation in the 2019 event as he will pair up with Coulthard to represent Team Britain.